The Magic School Bus—Scholastic’s book-series-turned-TV-show in which an excitable teacher makes science fun with the help of the subjects’s natural enemy, magic—is receiving a new paint job courtesy of Netflix. 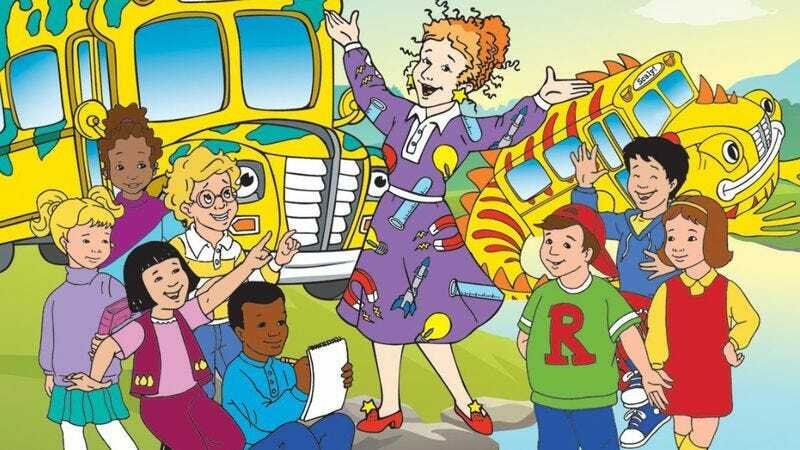 Variety reports that the streaming service has ordered 26 episodes of The Magic School Bus 360˚, a computer-animated update of the series that ran on PBS for four seasons in the 1990s. While a “dynamic reimagining” of the concept is promised, the new series will still find Ms. Frizzle giving her kids a hands-on education in the most dangerous manner possible, replacing Fantastic Voyage homages and frictionless baseball with episodes focused on “robots, wearable computing devices, and cameras.” You know, all of the modern distractions getting in the way of learning and retention. Just like Netflix!